Next time you’re at a club in Vegas and Jermaine Dupri is the DJ … feel free to request a song — but only if you have $130,000 to blow. 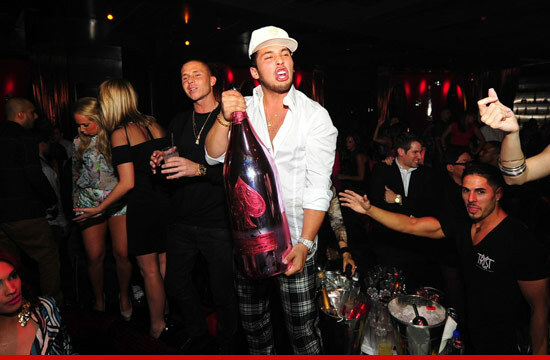 The rapper was spinning at TRYST nightclub at the Wynn Hotel on Saturday … when some super rich guy — known as “Su Su” — dropped $90k on a 15 liter bottle of Ace of Spade Rose Champagne … plus an extra $40k on other fancy booze. 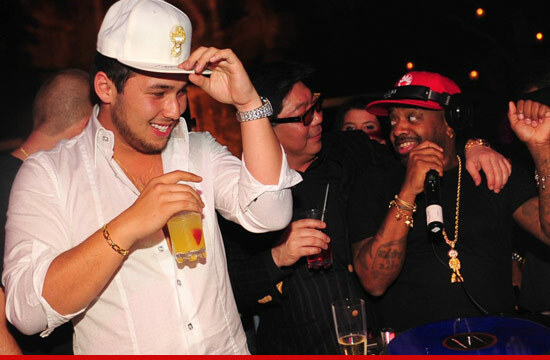 Sources tell us club honchos were so thrilled about the purchase, they asked Dupri to give Su Su a special VIP shout out. Dupri not only obliged … but he was so impressed with the purchase, he LET THE GUY REQUEST A SONG!! Which — if you’ve ever been to Vegas — never happens. It gets better … “Su Su” was so thankful Dupri actually played his tune — Pitbull‘s “Give Me Everything” — he stuffed an additional $3,800 cash in his pocket as a tip! 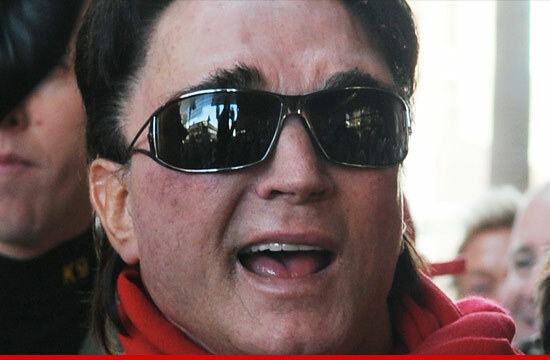 “Su Su” tells TMZ … he was “happy” to throw down the cash because he loves Jermaine and thinks he’s a “bomb” DJ. The lesson here … always make rich people happy. Bonus: Su Su also got a free hat for his troubles. FREE HAT!!! 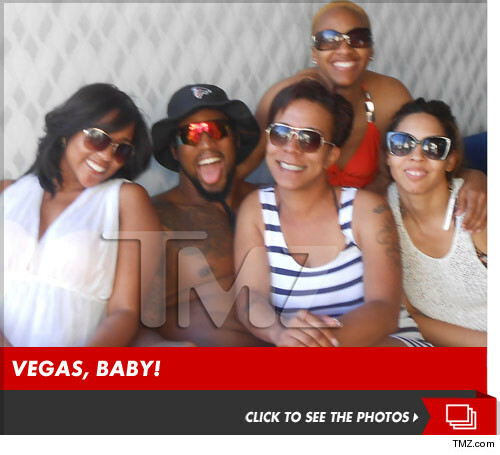 Atlanta Falcons defensive end Ray Edwards paid up this weekend on one of the coolest fan contests imaginable — and treated one lucky winner to a baller trip to Las Vegas … including awesome seats to the Floyd Mayweather fight Saturday night. It was all part of Edwards’ “Dare to Be Different” contest, designed to give away a trip to Edwards’ biggest fan … who really needs a vacation. A rep for Edwards tells TMZ he shelled out for two first class tickets for winner Chantel Snow and a friend ($1,250). 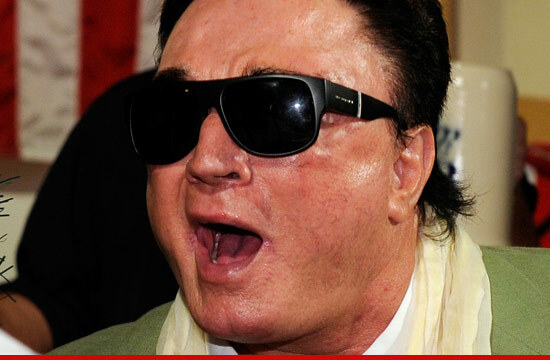 He also paid for hotel accommodations at MGM Grand ($1,100), meals on Friday and Saturday ($3,000), a private limo and driver for their whole stay ($2,000), a private cabana at the Hard Rock pool ($900), tickets to the fight ($1,500/ea), VIP booth at the club Friday ($2,500). A runner-up drove up to Vegas on his own dime, but all he got to do was meet Ray and watch him train. Second place really is first loser. Anybody who has been to Vegas knows the feeling of waking up in the morning with a hangover. One doctor has taken advantage of this “next morning” tradition of feeling sick to turn a profit. 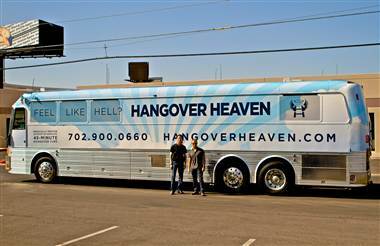 Dr. Jason Burke, a board-certified anesthesiologist has started a medical practice on wheels called “Hangover Heaven”. Hangover Heaven is a bus service that will arrive at the caller’s hotel and offer two services to aid you in overcoming your hangover. A basic package for $90 includes an IV of saline solution, B vitamins and vitamin C. A premium package, $150, includes two bags of saline solution. For an extra fee, Burke will even bring treatment to a tourist’s hotel room. While this medical practice is just starting there are still many concerns. Some concerns include not taking a full medical history or maybe having an allergic reaction to the medicine that Burke offers. Dr Burke addressing these concerns says, “I’m not a cowboy. I’m not going to grab someone off the street…without knowing their medical history. If they do have something that might be complicated, I’ll refer them to an emergency room or tailor their treatment to avoid anything that might cause problems.” Burke even has the Hangover Heaven bus equipped with a hospital-style “crash cart” in case of a severe medical emergency. While the practice is still relatively new the Hangover Heaven bus is estimated to be extremely successful.